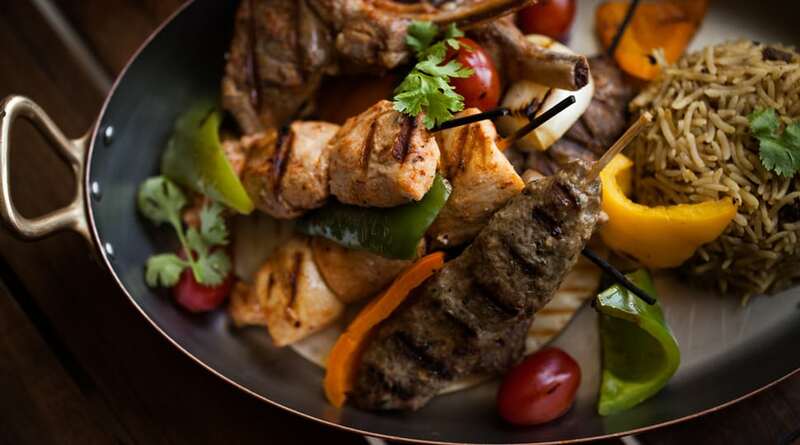 With so many food options at your disposal, you have to work hard to eat like a true local in Dubai. 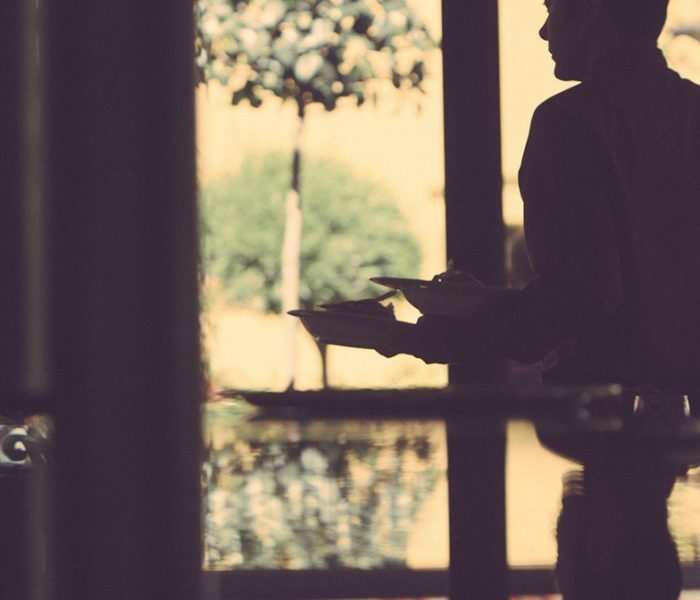 Read on for our most authentic culinary picks. 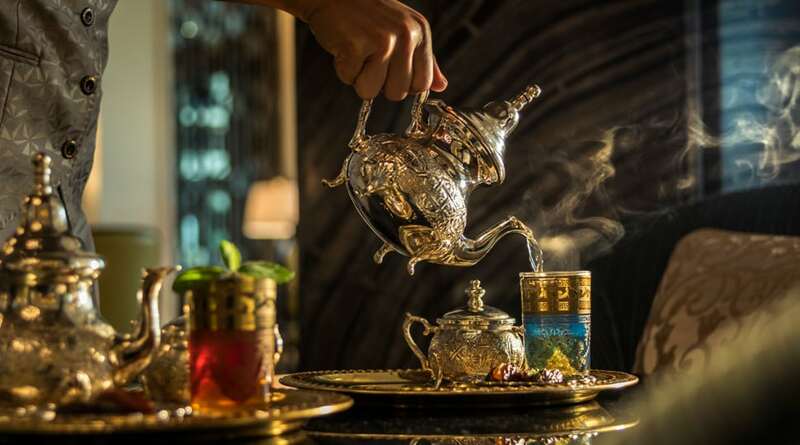 Anyone who’s ventured to Dubai knows that when it comes to dining, the glittering Middle Eastern metropolis is a bit like Las Vegas: You have a world of choices, from French pastry to deep-dish pizza. The real work lies in finding where the locals feast. 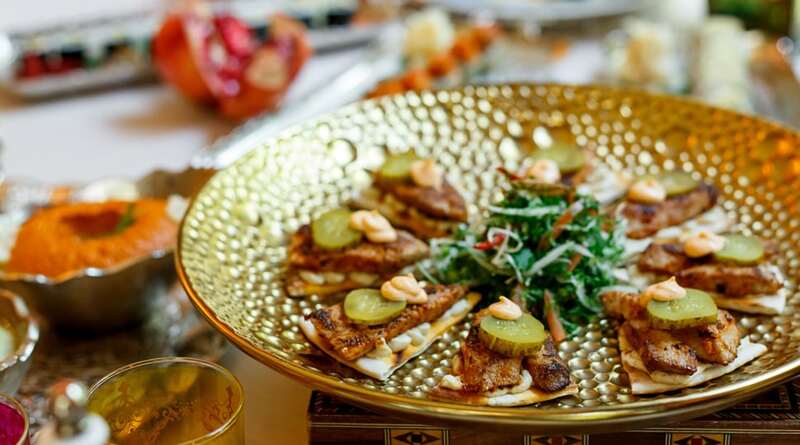 Convening with Chef Gilles Arzur and other people of Four Seasons Resort Dubai at Jumeirah Beach, where seven restaurants await to sate you by the Arabian Sea, we produced a list of the most authentic Emirati eateries in the City of Gold. “The foundation of local cuisine within the UAE is very simple ingredients,” Arzur says. 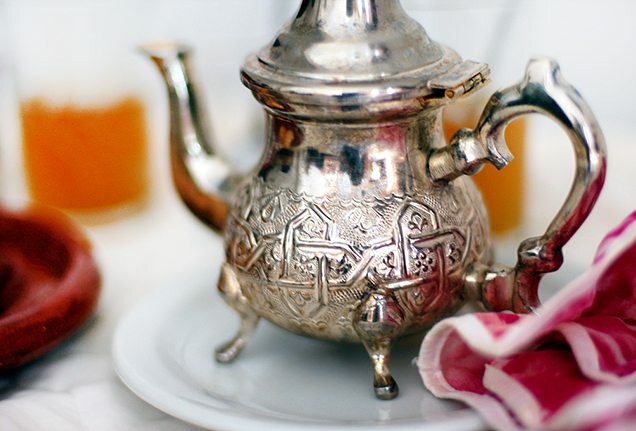 “Saffron and rice are found in many preparations, and camel milk is being used more and more in ice cream along with traditional local flavours such as pistachio and rose water.” Here, a most delicious, insider-approved tour. 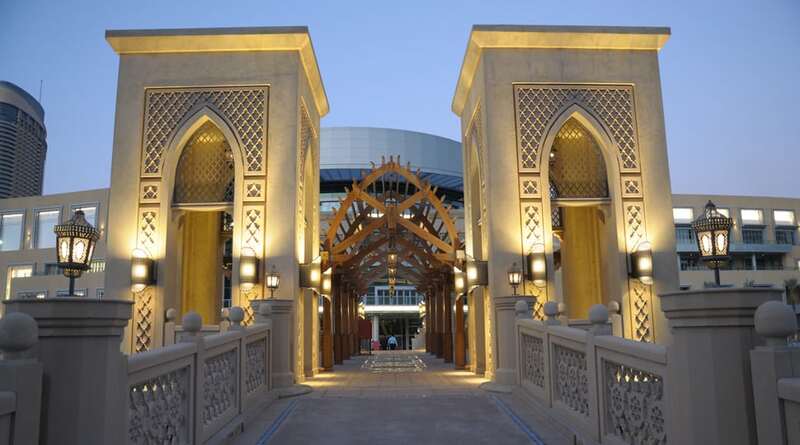 The entrance to the Souk al Bahar, where you’ll find Siraj. 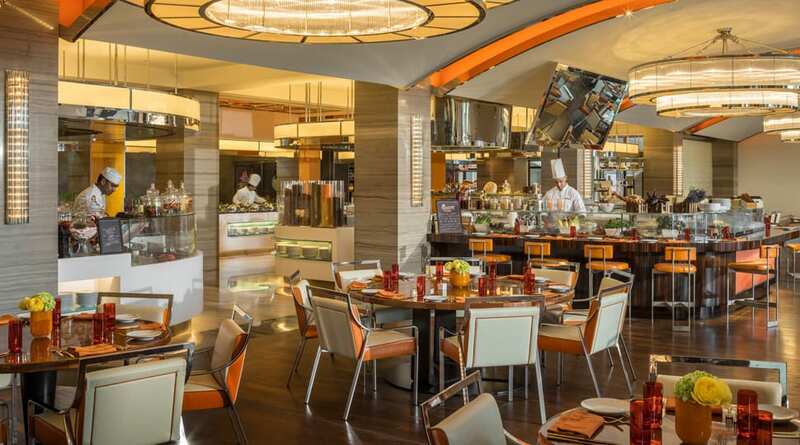 One of 22 restaurants at Souk Al Bahar, the “sailors market” set on Burj Khalifa Lake overlooking the Dubai Fountain, Siraj combines Emirati and Levantine cuisine. “It’s one of my favourites in the city – they champion traditional food with a healthy approach,” Arzur says. “My recommendation would have to be the glazed date salad with kale leaves. 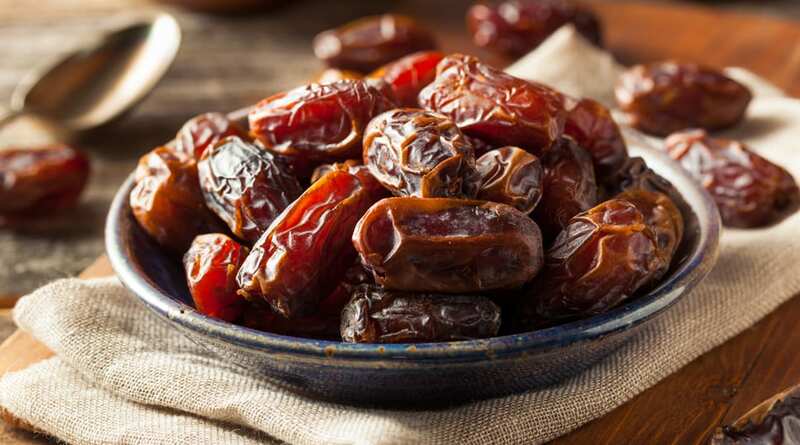 Dates are native to the Middle Eastern region and represent a huge part of its history.” Bonus: Each one contains 5 percent of your daily recommended potassium. 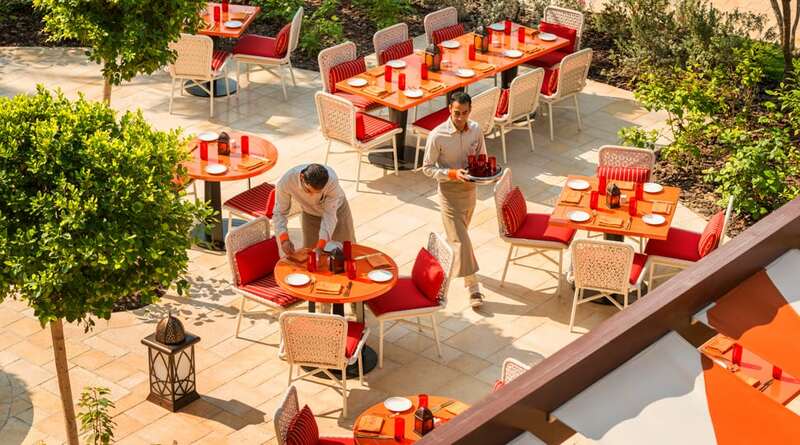 Guests queue up for porridge-like harees at Suq, an Arabian market–inspired hideaway ensconced in the Four Seasons Resort Dubai at Jumeirah Beach. Made with barley and chicken or lamb, harees is Arzur’s favourite dish on the menu, not least because it’s a popular choice during celebrations such as weddings or Ramadan. “Traditionally, harees was only made by the wealthy during Ramadan, Eid and wedding celebrations,” Arzur says. “It was, however, customary for the harees dishes to be shared with poorer neighbours on such occasions.” Today, it’s on everyone’s edible agenda. Proponents of camel milk sing its praises for many reasons: It’s said to contain more calcium than other kinds of milk and even to have curative properties. “Over 35 years ago, the idea of a camel-milking facility was born at the Central Veterinary Research Laboratory [CVRL] in Dubai,” says Assistant Concierge Manager Peter Wharmby. “Research commenced on a small number of camels, raised with the aim of obtaining scientific proof that this Bedouin diet staple contains outstanding health benefits.” To conduct your own taste test, he recommends the Camel Milk chocolate at Al Nassma in The Dubai Mall. If you’re a fan of afternoon tea, Shai Salon, just off the lobby at Four Seasons Resort Dubai at Jumeirah Beach, will call to you. 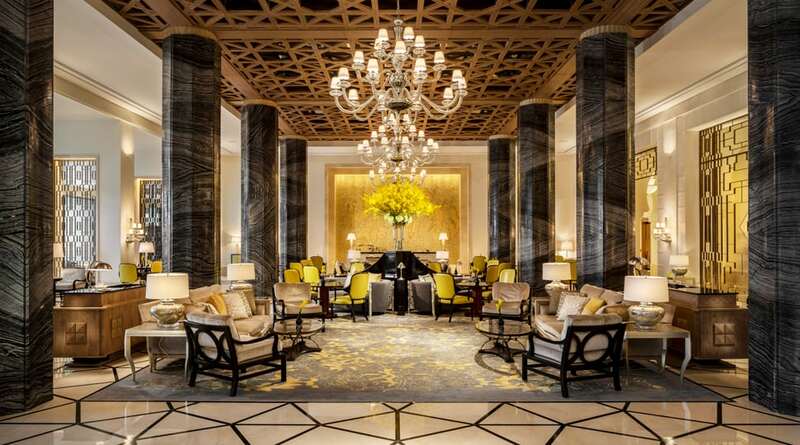 “Make yourself at home beneath the intricate lattice ceiling, snack on meze plates and relax,” Wharmby says. The cardamom and date thin crêpes and the lugimat (sesame seed, honey and date fried dumplings) are standouts. Pro tip: Ask for a table with a rosefinch’s-eye view of the Arabian Gulf and a piping-hot karak tea, a cardamom- and ginger-infused milk variety with saffron threads. The historic Al Fahidi district, where the Sheikh Mohammed Centre for Cultural Understanding is located. 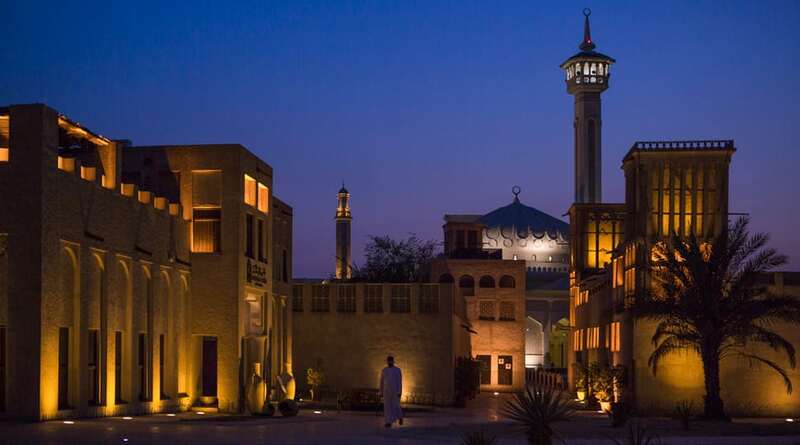 For extra Dubai with your food, make a beeline for the Al Fahidi Historic District. “Join a tour guide for a walk through the beautiful wind towers that adorn the original residences along Dubai Creek,” Wharmby says. “As part of the tour, you’ll have an Emirati meal at the Sheikh Mohammed Centre for Cultural Understanding and learn more about the culinary heritage.” It’s the ideal place to combine a locavore meal with delectable discourse; you’ll chat with Emirati hosts about the area’s culture, customs and religions. 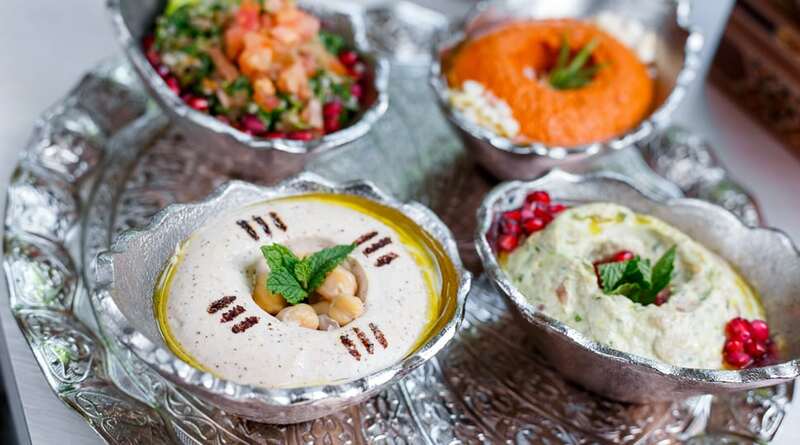 A Dubai staple since it opened in the mid-1980s, Lebanese hideaway Al Mandaloun is now a go-to lunch spot for captains of industry in the Dubai International Financial Centre. 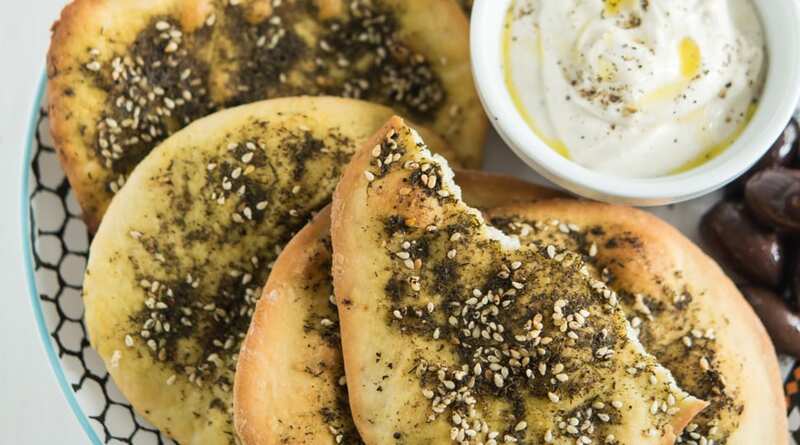 Your order: thin-crust zaatar pizza with thyme and olive oil, sojouk (Armenian spicy lamb sausages with tomato and pepper), or, for more adventurous eaters, kebbeh mohammasa – raw lamb with pine nuts and a side of tomatoes. 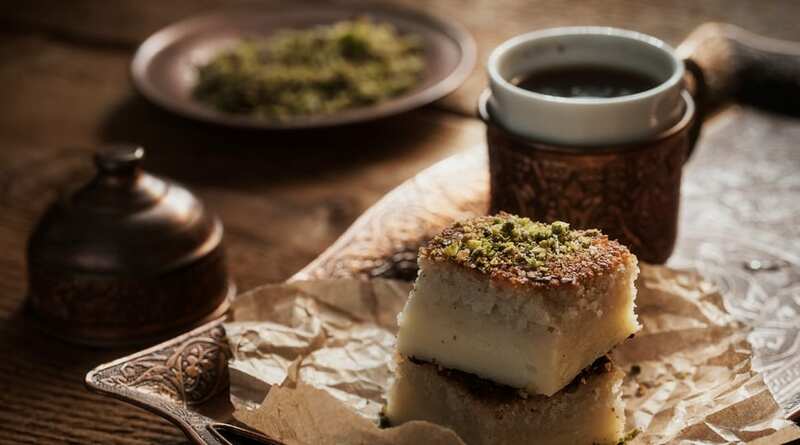 Dessert fiends can’t depart without at least one bite of the muhalabia, a pudding made with rose water and corn flour that dates back to 7th-century Persia. Where will your taste buds take you next? 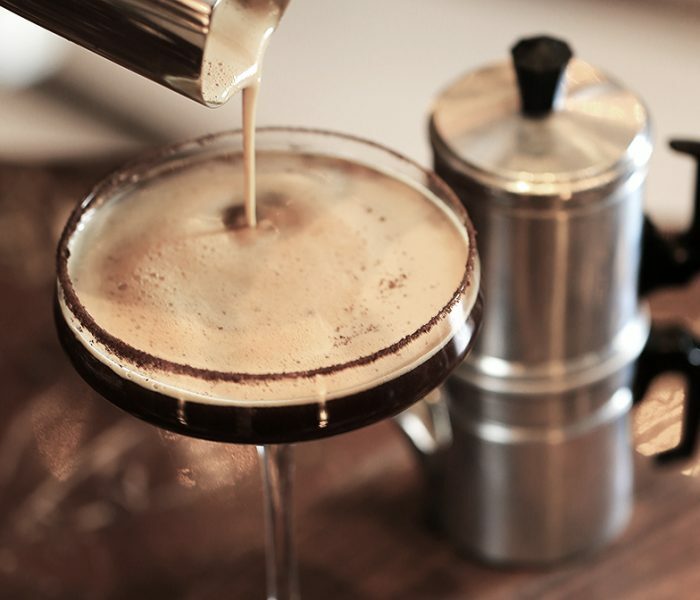 In destinations such as Florence and Beijing, where caffeinated beverages are a vital part of culture, bartenders are mixing up surprising cocktails using local and exotic ingredients. Whether your cup comes from a traditional Chinese tea ceremony or from a sustainable service in Seattle, drinking tea can help you stay well. 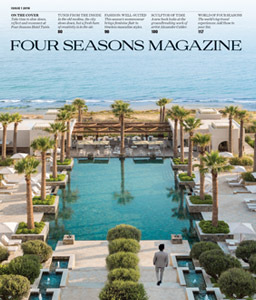 See what’s on the menu for this favourite midday meal at Four Seasons hotels and resorts—from family-friendly experiences in Orlando and Singapore to sophisticated affairs in London and Doha. 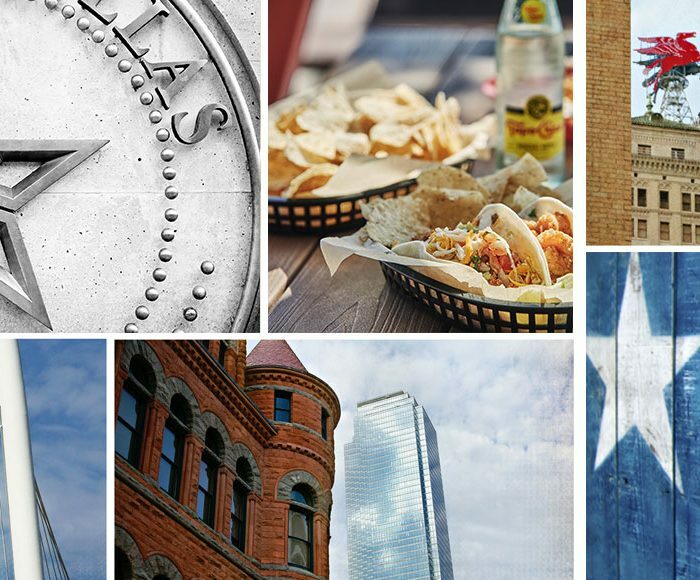 Four Seasons insiders dish on their favourite spots to grab a bite in one of Texas' biggest cities, whatever the occasion.